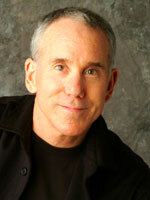 Dan Millman is a former world champion athlete, university coach, martial arts instructor, and college professor. After an intensive, twenty-year spiritual quest, Dan’s teaching found its form as the Peaceful Warrior’s Way, expressed fully in his books and lectures. The feature film, “Peaceful Warrior,” starring Nick Nolte, was adapted from Dan’s first book, based upon incidents from his life. 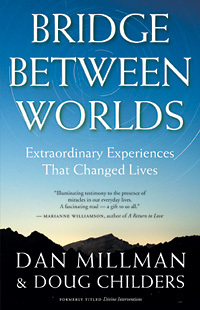 Dan Millman will be discussing his book, Bridge Between Worlds, Published by New World Library. Formerly entitled Divine Interventions. His book, Bridge Between Worlds How he and co-author Doug Childers came to write the book Particular stories. The shift in topic from Peaceful Warrior to Bridge Between Worlds Kundalini awakening Out of Body experiences The Cokeville Miracle And much more! An interview with author Dan Millman on The Life You Were Born to Live — Revised 25th Anniversary Edition. Dan Millman, former world-champion gymnast, coach, martial arts teacher, and college professor, is the author of seventeen books published in twenty-nine languages and shared across generations to millions of readers. His internationally bestselling book Way of the Peaceful Warrior was adapted to film in 2006. Dan speaks worldwide to people from all walks of life. He lives in New York City. www.PeacefulWarrior.com.